With summer right around the corner, it's time to get outdoors with the whole family! Need some motivation to get those kids off the couch and into the backyard? 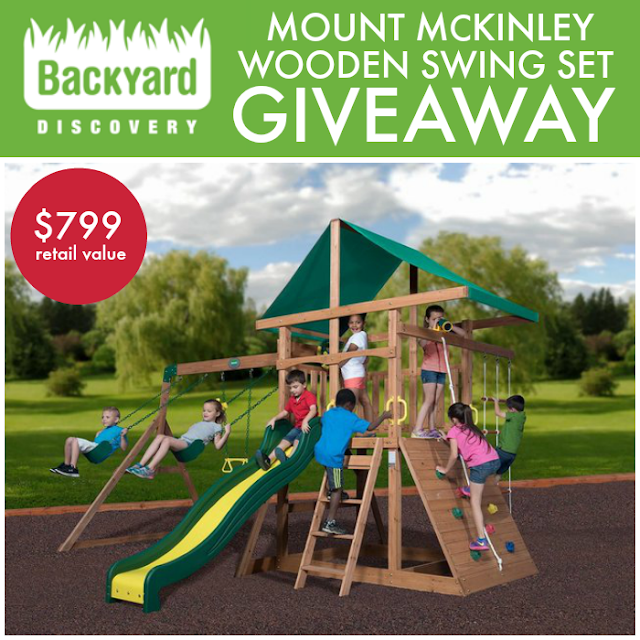 Look no further than Backyard Discovery's wooden swing sets. 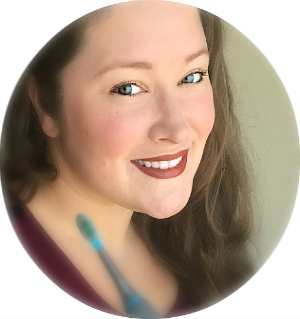 Amber at Viva Veltoro recently shared how their new swing set is bringing her family together and building her kids' relationship with each other. We've teamed up with some of our favorite bloggers to give away a Mount McKinley Wooden Swing Set from Backyard Discovery! 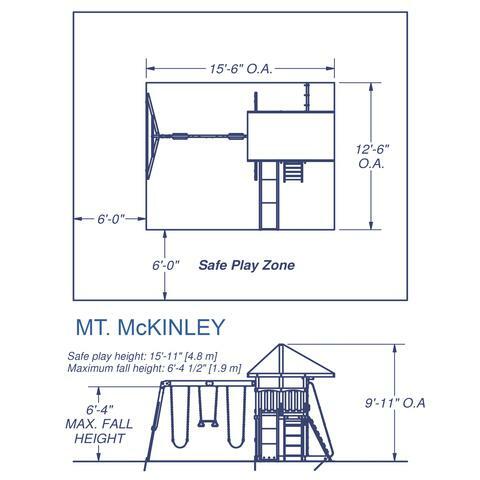 A towering tribute constructed for the most daring of little tike climbers: the Mount McKinley. Whether they scale the rock climbing wall, scramble up the step ladder, or pull themselves up the rope ladder, your kids will feel like they reached the highest peaks on the deck of this play set. You don’t need an off-road vehicle to feel like you’re cruising along the Rockies — the open wooden plank structure of the upper outdoor playhouse, along with its bright green tarp roof, telescope and steering wheel, transport every imagination to a mountain range oasis. Taking a quick slide back down from the summit, you’ll store your nature souvenirs in the toy storage box and then finish your adventure on the belt swings or swing trapeze bar. The Mount McKinley is made from 100% cedar. With small, tight knot structure, your lumber will be less likely to develop small cracks emanating from knots. Assembly is not included. Our lucky winner can choose to install it or can hire someone to build it. We suggest getting a quote for installation from GoConfigure. Open to the continental US only, ages 18 and up. Ends on May 23rd at 11:59 PM EST. Enter using the Giveaway Tools form below. Good Luck! Disclosure: One winner will be randomly selected using the Giveaway Tools random selector and notified via email. Once notified, the winner will have 48 hours to respond or a new winner will be chosen. 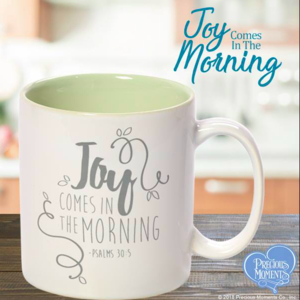 This giveaway is in no way associated with Facebook, Twitter, Instagram, Pinterest or Google. Void where prohibited. Amazon links are affiliate links. Assembly not included. Love to win this. For the grands. 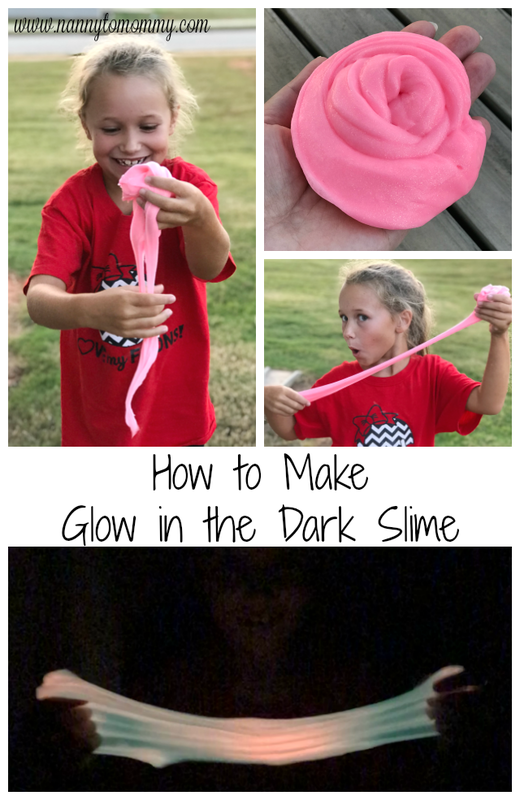 This is an awesome giveaway- I have always wanted one of these for the kiddos. Thanks! My favorite item is Caribbean Wooden Swing Set.